Recently in one of the writer groups I belong to online an author posed the question, "Are blog tours worth doing?" As an author of a book about running successful blog tours I believe that if done well tours are an important aspect of a book's media campaign. The point that I think some authors miss though is the "well done" part. I have pretty much stopped signing up for all blog tours. Why? Because the content I receive is of low quality. I did sign up for a tour because I was interested in seeing what a particular company was doing and it was an author I have worked with before. I received the materials last week. And well let's just say I was less than impressed. There are approximately 15 blogs on a 5 day tour and we all received the exact same materials. It is not a book tour but a book blast and as I've discussed before that is nothing more than an advertisement. At least there are excerpts provided (it is a "tour" for a series). Now I am not against syndicated content, but it must be high quality like the interview I ran on Monday. But that's not the content I'm seeing on these tours. When I was organizing tours I often heard from authors that they didn't have the time to write guest posts and do interviews. My answer (even if I didn't actually say it to them) was "too bad". Marketing is as important to the success of your book as writing it. Authors who ran tours with me always saw book sales either during the tour or in the days following the end of the tour. So if you are not seeing sales then you need to consider two things: the quality of the content offered and the quality of your book. Let's discuss blog content first. As far as time goes, the truth is all marketing takes time. However, spending a bit of time on quality marketing is much better than spending little time on crappy marketing. Truth - spamming social media takes little time. Yet, what kind of return are you getting on that? You are probably better off spending that 15 minutes creating quality content. Think about it. A traditional press junket would require several hours of interviews with media professionals as well as public appearances with fans. It isn't unheard of for a traditionally published author to spend 2 - 3 months on the road traveling to book signings and talks and giving several rounds of interviews at each new city. Can you imagine the time involved? The city tour is what a blog tour is suppose to be replacing. 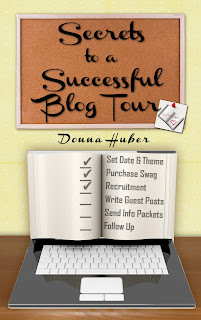 To be successful with your blog tour, you need to treat it the same way you would a city tour. Instead of arranging for flights and hotel rooms, you are booking blog stops. For a city tour you would be prepping for reading selections and answers to potential questions for readers and media professionals. For a blog tour, you are selecting excerpts (remember everyone can go to Amazon and read the first chapter or so of you book) and writing out the answers. Now if you have put in the effort of putting together an awesome tour and you still aren't seeing sales, then you may need to take a closer look at your product - your book. To decide if it is your book or the content of the tour that isn't connecting with readers, you will need to do a little investigating. Are people liking your blog content but then failing to buy your book? Most url shorteners allow you to track the clicks. So you can provide a shortened buy link to the blogs on your tour and see how many times it is clicked compared to how many copies were purchased. If you don't see a lot of clicks then it is possible that the content of the tour didn't entice readers enough. On the other hand if there are a lot of click through but little or no sales then it is likely your product that is the problem. There are a couple of problems with this method of data collection with which you need to be aware. 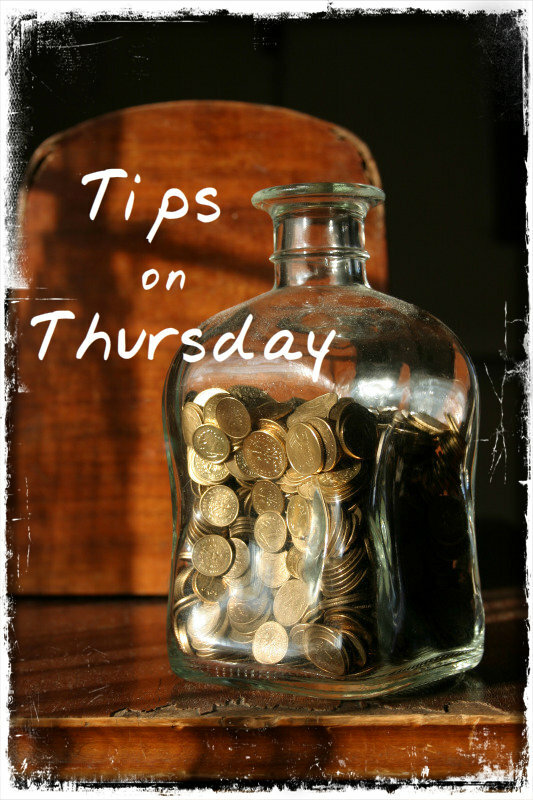 One, many bloggers are affiliates and want to use their own links in order to earn a few cents on sales. A solution to this problem is to have bloggers self-report the number of clicks they receive. Two, readers will bypass the links all together and purchase the book. I have been told by individuals that they purchased the book, but my affiliate link records show no purchases. They are bypassing my links and going straight to Amazon, more than likely looking up the book and purchasing the ebook on their Kindle. I'm not sure of a solution to this. If you suspect it is your product, then you have some decisions to make. One, is your price point too high? I often recommend running a discount during a blog tour. There is a psychological basis for discounts. People love the "Save $5 today" or "50% off this week only". People like getting deals. It increases the chances of capturing impulse buys. Two, did you run a giveaway of an ebook version of the title? I almost always recommend to not giveaway ebooks during a tour. You lose out on impulse buys because the person entering wants to find out if they win it before buying the book. By the time the giveaway is over, the book has fallen off their radar and been replaced with the next title in front of them. Three, does your book need work? I know you have spent countless hours going over your book with a fine tooth comb. You've hired editor(s) to check for grammar and syntax errors (you did hire an editor, right?). You have received feedback on plot and character development from a content editor or beta readers (that weren't friends and family). However, there could still be problems. You may even be aware of the issues, such as the plot builds slowly. The reviewers of Girl Who Reads participate often in the 1st Chapter, 1st Paragraph meme. It is interesting to me how often the cover will be great and the blurb sounds exciting and then the opening lines fall flat. I have read several books that have had lackluster opening pages, but turned out to be great reads. If you suspect this is an issue (beta readers and editors can help you determine this), then during your tour provide excerpts that show more of the "meat" of the story. Or you may decide to do a second edition and add a prologue to the beginning. Another problem may be that your book is too generic or swings the other way and only is of interest to a niche audience. If it is the latter then you may need to cast your net wider during your media campaign to incorporate more blogs as well as identifying sites and other venues that cater more to your audience. If your book is a bit too generic (or has the appearance of being so) and you are worried about reader fatigue (the "not another teenage girl falls in love with a 117 year old vampire story"), then you should be doing everything you can to point out the uniqueness of your story. You can do this with your blurb and during tour appearances. Lastly, the problem may be your book isn't living up to the claims you've made. It is great to be able to claim your book will be loved by readers of JK Rowling. But you better be super sure that the writing is on par with her caliber. For indie or first time authors it is helpful to be able to claim similarity with well known books and authors. When I take on new clients one of the questions I ask is where does your book fit on the shelf among other authors. I recommend you do your homework before making claims. Just because you want to be the next Stephen King doesn't mean your book measures up. Listen to your readers, comb through reviews to see if anyone is making comparisons. Look through the "also purchased" section on Amazon to see what other books readers of your book purchased. Your editor and beta readers should be able to help you as well. Reading other books in your genre will be of great help too. 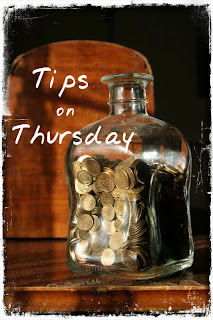 As I said in the beginning, a blog tour can be an important aspect of your media campaign. Hitting up 15 blogs in the span of 5 days isn't going to give you longevity in book sales. You need to be continually getting your name and book title in front of readers' eyes. It has been said that a person needs to see something 7 times before they will decide to buy it. Your tour is 1 time. Blog reviews are a great way to continually get your book in front of new audiences. 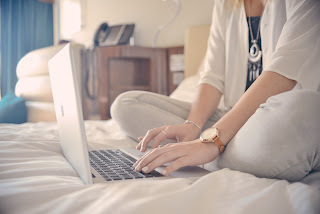 Yes, it is time consuming to pitch to blogs, but it is important. I also recommend authors doing one or two guest appearances on blogs or other media outlets (podcasts, radio shows, etc) per month. Marketing is not an easy task and it is something you will need to find the time to do. Even the greatest novel ever written wouldn't find an audience if readers never hear about. Traditional publishers have publicists as well as marketing and sales teams to help books find their audience. As the indie author doing it all on your own it means you are taking on the workload of at least 3 people. I wish I had a magic bullet that would shoot you to the top of the bestseller lists, but there isn't even the guarantee that you will see any benefits from your hard work in this lifetime. Check out these 9 authors who found success posthumously. Even with the uncertainty, I still strongly believe that blog tours done well are worth the time and effort you put into it. If you need more help planning a successful blog tour, pick up a copy of my ebook Secrets to a Successful Blog Tour for just 99 cents today (you'll save $3 off the list price!). Thank you for this, Donna. I have often wondered about blog tours as I have never done one. Rather, I guest blog with other authors as I can and space those out so I can do my best with the quality of the post/interview. Agree--blogging, no matter what the format, is work!